Winter’s Bone (2010) is a film adaptation of Missouri writer Daniel Woodrell’s novel of the same name, published in 2006. Written and directed by Debra Granik, the film follows a girl named Ree Dolly (Jennifer Lawrence), a 16-year-old from a large family of Ozarks meth cookers, and her struggle to keep her family together. When the local sheriff (Garret Dillahunt) informs her that her drug dealing father Jessop has disappeared after using their family house as collateral to post bail, she must either find her father and bring him back in time for his trial or prove that he is dead. If she fails, she and her family – two brothers and mentally ill mother – will end up on the street. As she sets off on her search, with the help of her Uncle Teardrop (John Hawkes), she learns that there is more to family than just the burdens imposed upon her by her circumstances. 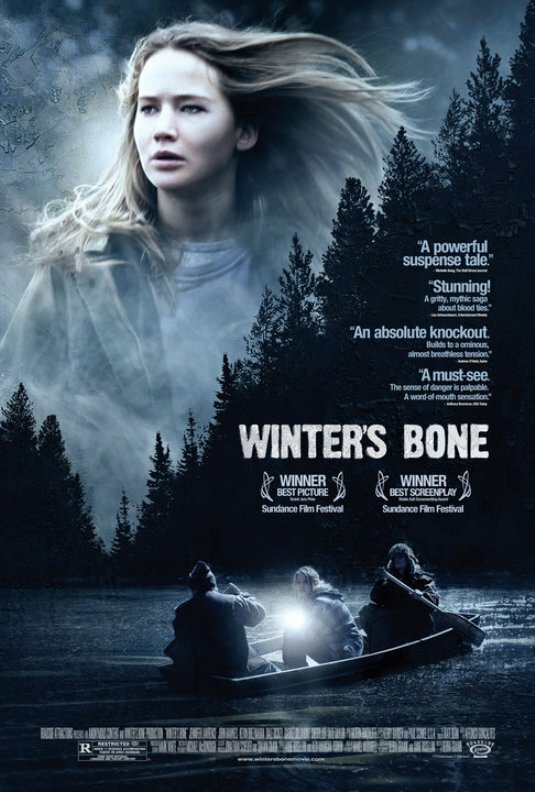 Winter’s Bone went into production in February 2009 and wrapped principal photography in March. It premiered at the Sundance Film Festival in January 2010 and won the Grand Jury Prize. 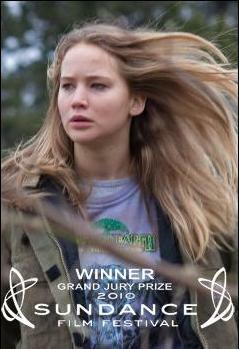 After a limited theatrical release in the U.S., the film was released on DVD on October 26. A sixteen year old girl in the rural Ozarks is caring for her mentally-ill mother and two younger brothers when she discovers that her father put their house and land up as a bond for a court appearance he failed to appear at. The family only has a week to find their father before they lose everything and old clan war grudges come back to haunt them in their time of need.